Fearne Cotton is best recognized for being a successful British TV and radio presenter. Cotton made her big break into the television industry in 1996, at the young age of 15 years old. She landed the role of presenter for The Disney Club which was a children’s programme featured on GMTV. 5 years later, she joined the presenting team at CBBC to host several TV shows such as Finger Tips, Smile, and Eureka TV. Since then, Fearne has landed many high profile television roles, which have kept her in the mainstream media spotlight. 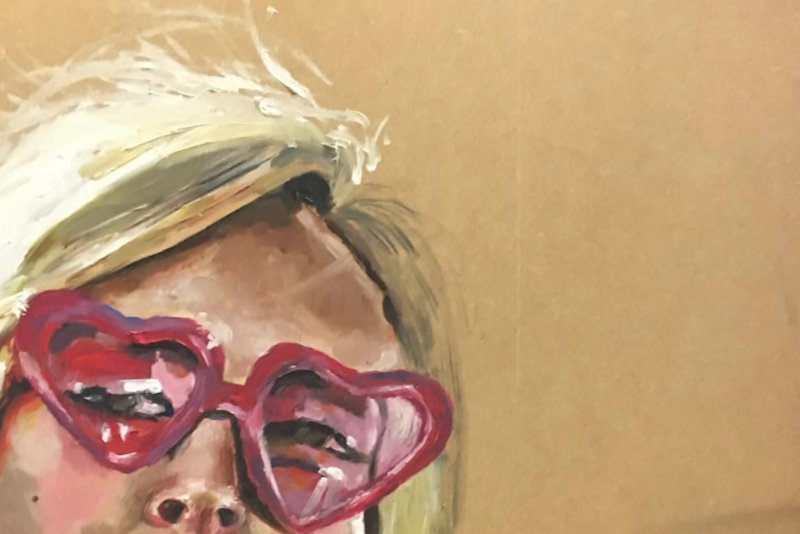 She has presented for shows like Love Island and The Xtra Factor, as well as regularly appearing in comedic chat show, Celebrity Juice with Keith Lemon and fellow presenter, Holly Willoughby. Cotton has also taken an interest in radio presenting with her main hosting slot at Radio 1, which began in 2005. However in 2015, she decided to leave the station to pursue other interests. Currently, she hosts a radio show slot on neighboring station, Radio 2. Fearne is also recognized for her eclectic and unique sense of style. 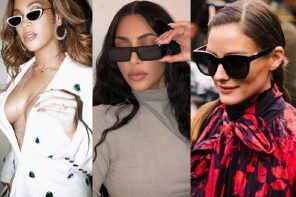 Therefore, lets check out her top eyewear looks from 2016 & 2017 so far! We are loving this print heavy outfit choice from Cotton. The 36-year old presenter is sporting a floral printed shirt complete with some light coloured cropped trousers – the clashing prints work so well within the outfit. She has finished off the look with some Mary Jane style lilac platforms in this gorgeous velvet material. Boho inspired jewelry and spectacular sunnies give the look a real wow factor! 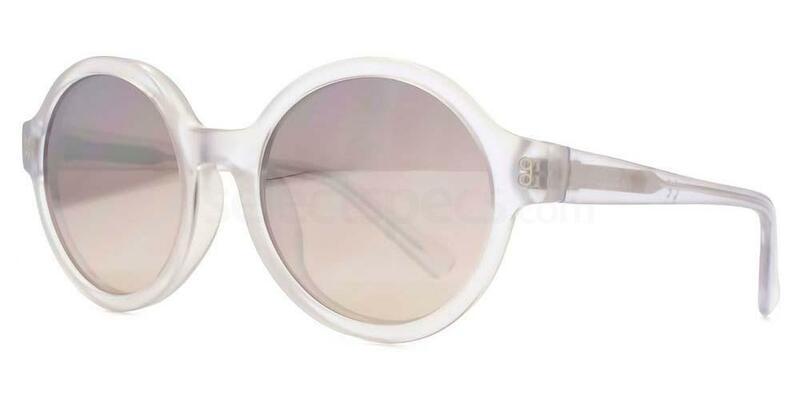 Steal Fearne’s style with this pair of more subtle Hook LDN HK012 – PAVILLION specs from us. This is a very colourful look from Fearne – we are absolutely loving it! In this shot, she is sporting an asymmetric thin knit featuring a bright skull print – which seems to be very Alexander McQueen-esque in style! A multitude of jewellery and some chic sunglasses complete the look perfectly. 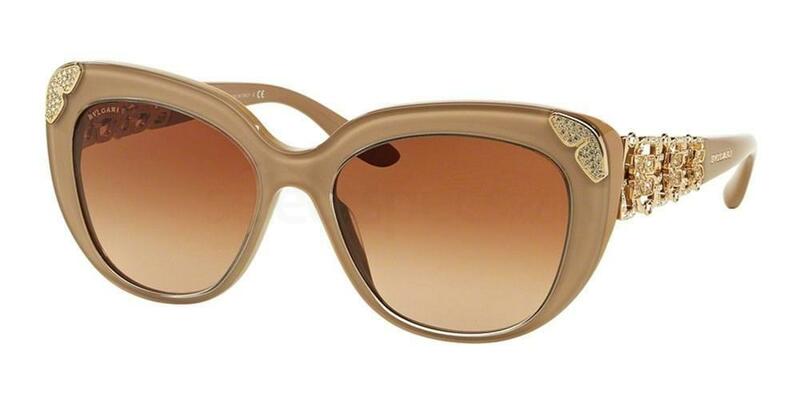 Check out this pair of similar Salvatore Ferragamo SF831S specs to finish your outfit off in the right way. This is definitely more of a simple and understated look from the TV star. A classic black vest tee has been teamed with a pair of contrasting light coloured dungarees – they have been rolled up at the legs to give off more of a chilled vibe. 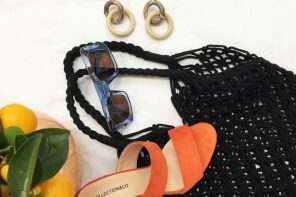 Minimalistic jewellery, some striped espadrilles, and some vintage looking specs finish the look. 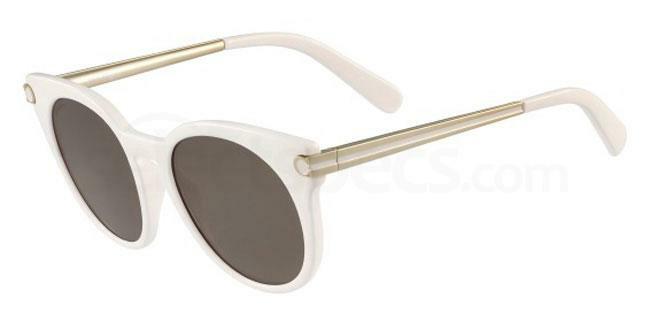 Steal Fearne’s look with this pair of similar Bvlgari BV8162B sunglasses from our online range. This is certainly more of a dressed down day for Fearne. In this quirky shot, the star is wearing a fitted grey knit and some dark jeans – what a minimal yet cute outfit! A delicate silver body chain and a pair of ultra cool sunglasses make the look complete.